1. 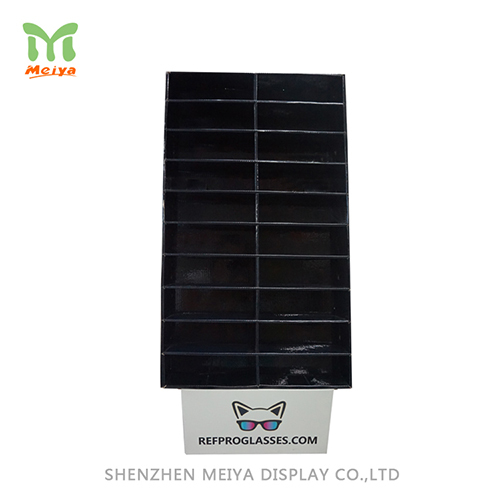 Hold 20 pairs of sunglasses, carry a large selection of wholesale sunglass displays. 2. Study construction and portable unit for displaying sunglasses easily..
3. Shipped flat and simple to transfer. This cardboard display freestanding and will be sure to catch your customer's eye. It works well with most sunglass styles. The display is designed with protection funtion that eyewear storage case keeps glasses protected and scratch-free.